Elioth Gruner produced only a few prints, all drypoints, possibly inspired by the work of his friend Norman Lindsay, or by a small etching sent to him by Hans Heysen. 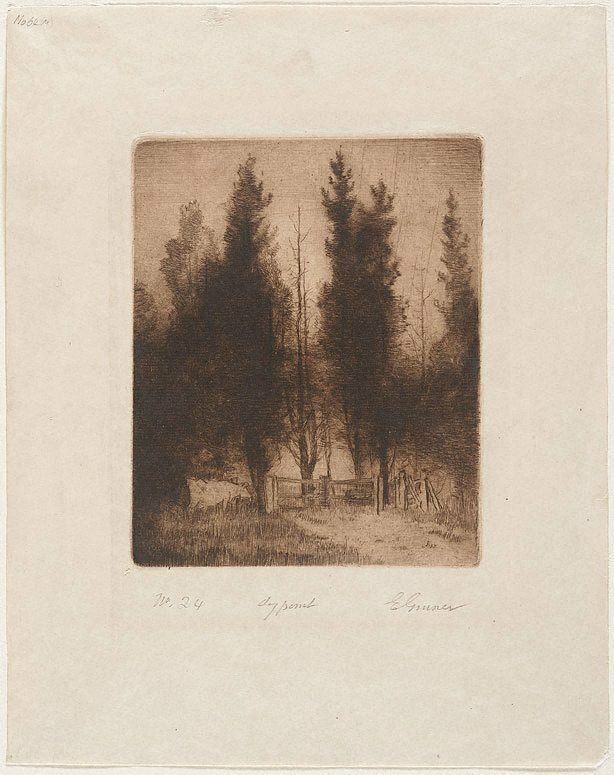 Gruner liked the feathery, romantic quality of line made using the drypoint method, as well as the directness with which it can be made on a plate, which suited his practice of working en plein air. He would occasionally print a plate using different quantities and wiping of ink, to create a different effects of light in the printed images. Signed l.r., pencil "E Gruner". Not dated.